So finally managed to pull on my shoes and running gear and made it back out again, I wouldn’t be telling the truth if I didn’t say that i was thinking twice about going out. 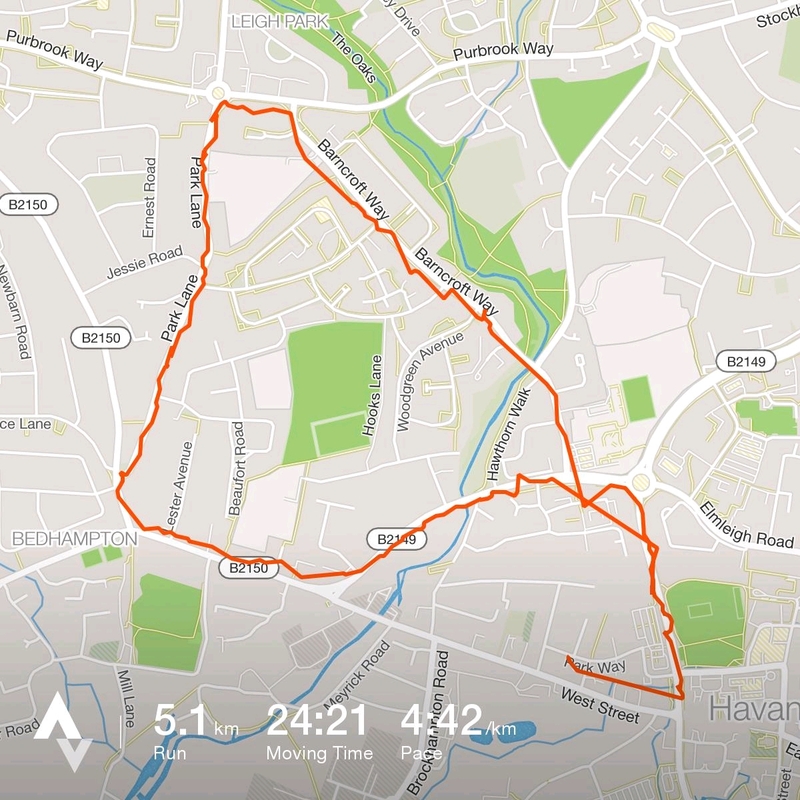 Today I found myself trying something different as I thought to myself after the last few runs that i had more in the tank, so I gave the Zombie Run app a go. It seemed like a pretty neat app with a good streamline theme to it, I liked the idea if it but did find that sometimes I would rather be listening to the music that it kept interrupting than hearing some of the things that it chimed in with. I don’t know if I will continue to use it but maybe I will give it another go to see how I get in with it. Going back to the times today I have to say that I am really pleased, especially after not running for a good few days (over a week and a bit). The training seems to be paying dividend and I am really happy for it. That being said each time I keep pushing myself and I’m not sure I have anything more to give so will be interesting to see if I can maintain the increases in my pace I have been getting. Managed to get out today and glad that I did. 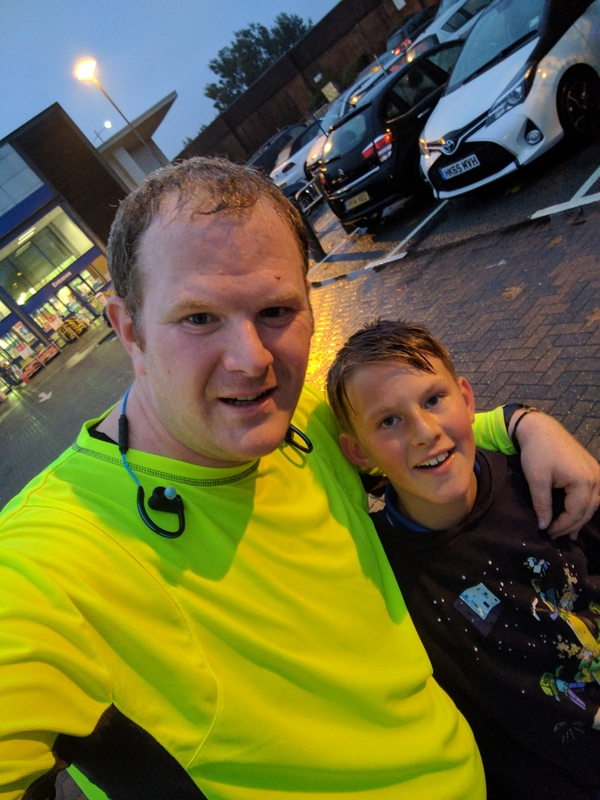 This time and for the first time my son come along for a run too. Had a good run although at times did find it a little tough. Thought that the finish went well though. No updates today as I didn’t get the chance to get out for a run as work took over. The day seemed to just run away with me in the end. Will try again over the weekend. Getting colder out there now although don’t let that fool you it’s actually a whole lot nicer to Run in the weather like it was tonight which was around 6°c dry and crisp. 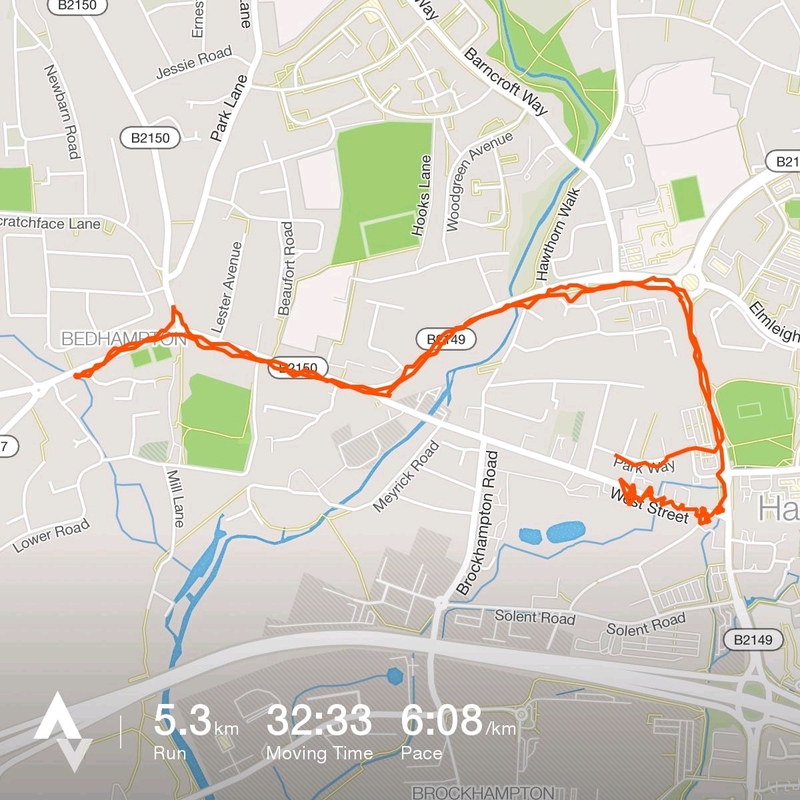 Today’s run was by far the most comfortable I have felt in a very long time, I even found myself ignoring the C25k app and continuing my run when it says to walk. My breathing was very comfortable and the pace which I had tonight was one of the best I have had in all my running before. That being said I think there is something a little screwy with the app as it says that my moving time was around the 25 Min mark, this may be true but I know that my run for the full 5k including all the little walks whats 32 mins almost exactly. 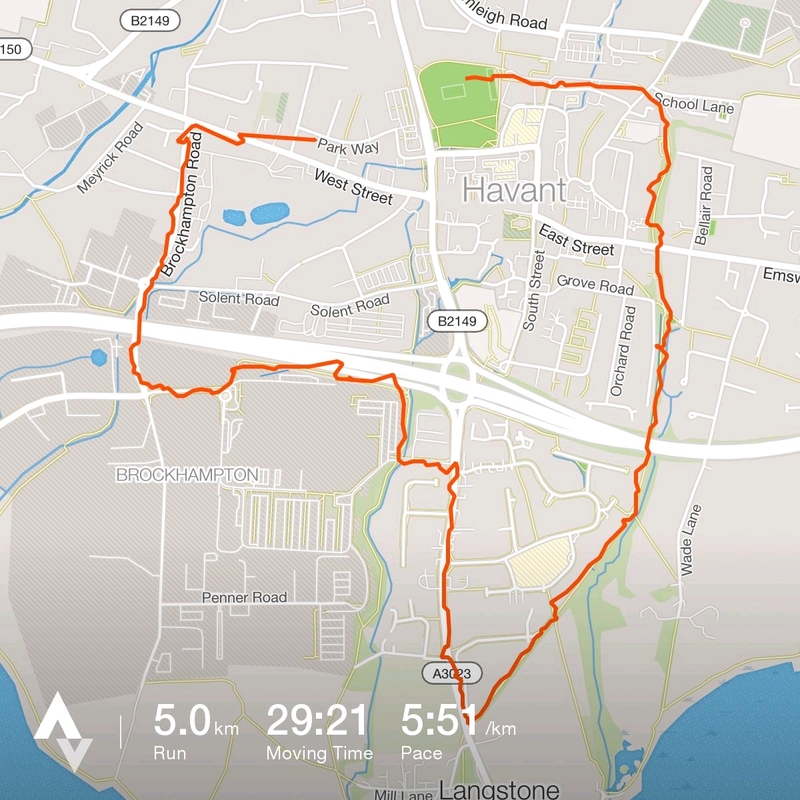 Still it’s only a guide and I am feeling great within myself even felt as if I could have continued the run further, which for the amount I have been back at it again is a great confidence boost. Just to add a bit more detail from what I spoke about above I have found the true timings of the run tonight and thought that it would be good to share with you. Today I was back on it again after not feeling 100% the last few days. Changed the route around a little today and added in a few hills (mainly because I needed to find better lit roads). 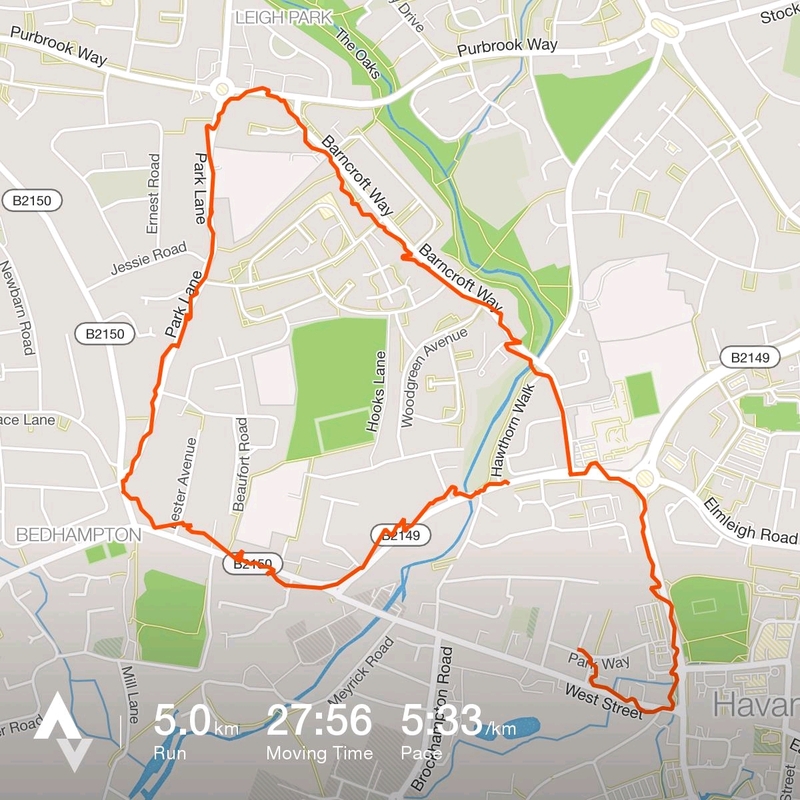 Felt good again although I was still following the C25k app so the pace is nice and easy at the moment. Check out my times below.